Laid down, 21 December 1942, at Basalt Rock Co., Napa, CA. 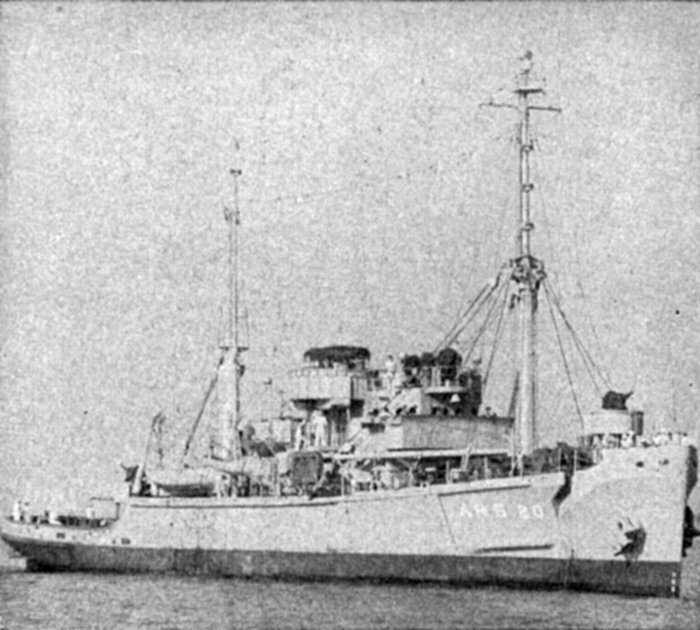 Decommissioned, 9 November 1946, at Orange, TX. 82k USS Chain (ARS-20) under way, date and location unknown. US Navy photo from "All Hands" magazine, issue dated November 1946 Joe Radigan MACM USN Ret. 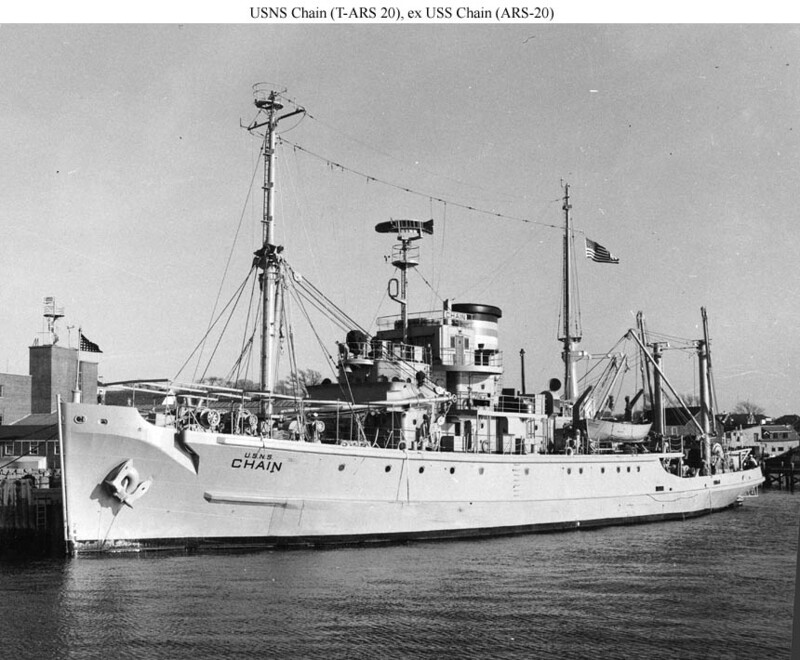 140k USNS Chain (T-AGOR-17) moored pierside, circa the early 1960s, soon after her conversion to a survey ship. 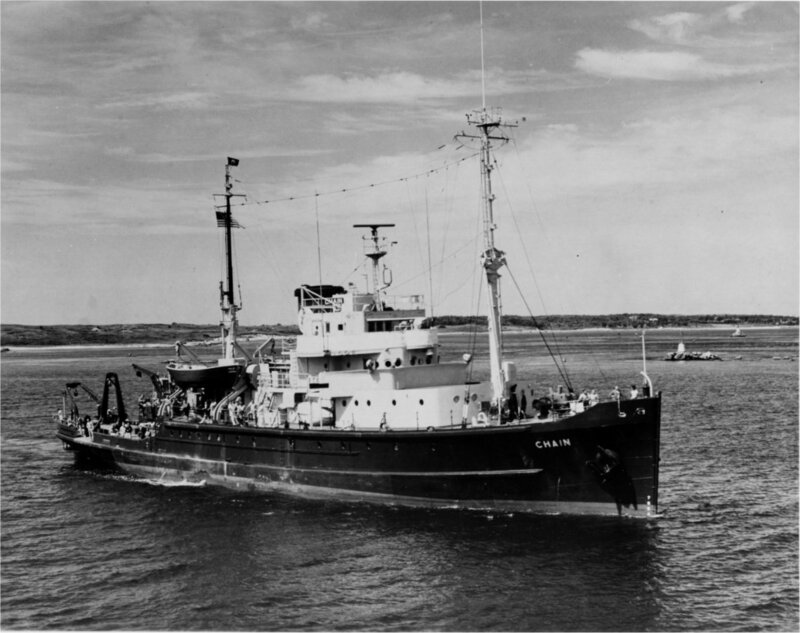 111k USNS Chain (T-AGOR-17) under way, circa 1961, location unknown. 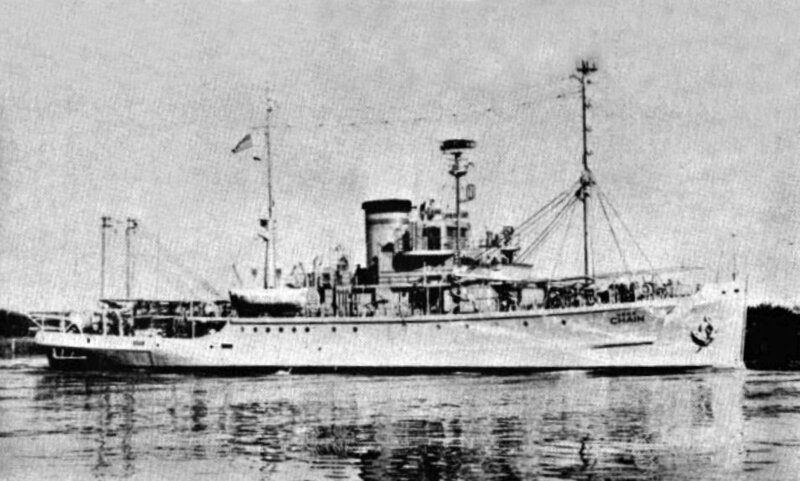 165k USNS Chain (T-AGOR-17) under way, date and location unknown.